Want a pattern price? Check the Pattern tab below and click on the patterns for a pdf of the design. Rustic Multicolour Natural Metamorphic Slate characterised by a heavily multicoloured surface on a grey/green, medium riven base. Thickness can vary. 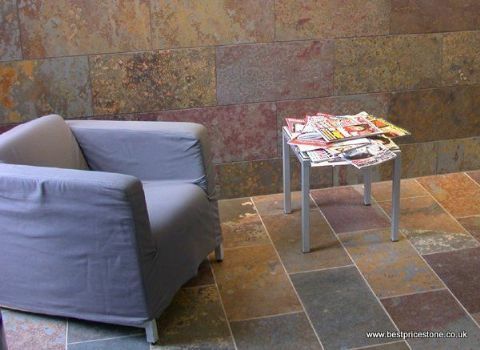 Rustica flooring slate, click on the Sizes and Prices tab below.